Why Pay Rent ? When You Can OWN For LESS ! Down Payment $2400. Down Payment $2800. Loan Amount $77,600. Loan Amount $77,200. +1351=$78,551. *Interest rates as of 10/20/2017. Interest rates can be locked once a contract on a property has been fully executed. Interest Rate and PMI rates are based on borrowers with a minimum 720 middle credit score. Programs subject to change without notice. • 1120 square feet , 2 bath , 2 bedroom – FOR SALE USD $80,000 . 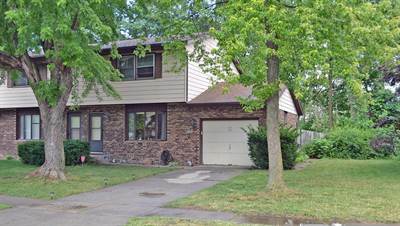 Opportunity knocks = 2 story Half Duplex For Sale in Portage, Indiana offers 2 Bedrooms, 1 Full and 1 Half Bath, attached 1 Car Garage with pull down stairs for storage. Quiet street yet close to shopping and expressways for ease of commute. 1120 Total Square. Feet. plus 324 Square. Feet. Garage. Nice big wood deck (10 x 15) off BR and LL patio (10 x 30) plus privacy fenced backyard. Lot 40 x 180. Living Room with Picture window and cut to out to view Country kitchen with lots of wood cabinets and cedar trim dining area. Laundry room has cabinet storage. Both bedrooms have ceiling fans and double closets. Central Air New Unit installed 1 year ago. New Furnace installed 2 years ago. Showings by appointment only with at least 24 hour notice needed. Affordable price below assessed value. Live here and pay less then rent or buy as an investment property and rent out. Call 219-309-9930 Today to schedule a private showing. With approximately $3.6 billion in annual sales and more than 18,000 home buyers and sellers represented annually, F.C. Tucker Company is Indiana’s largest independently owned comprehensive real estate firm with more than 40 offices and more than 1,500 sales associates throughout Indiana. Less than one percent of all real estate firms have the longevity of F.C. Tucker. Founded in 1918, the company’s family of businesses includes a full range of real estate & relocation services. F.C. Tucker has earned a reputation for its exceptional service, experienced sales associates and “Golden Rule” commitment to its clients.